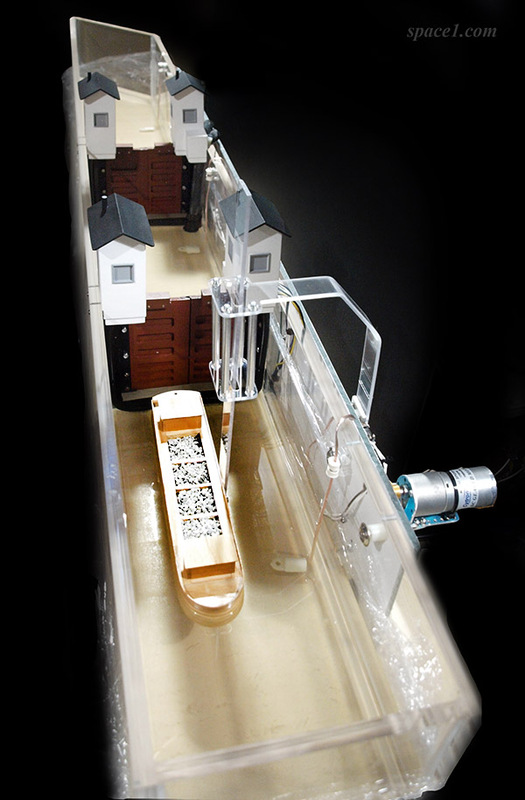 Interactive display to demonstrate the operation of a canal lock. Detailed and built by Historic Space Systems according to designer specifications. Microcontroller responds to visitor input to operate canal lock doors, water pumps, and a boat mover. Worked closely with exhibit integrator to meet display requirements. Applied SolidWorks design, programming, CNC machining, 3D printing, and finishing capabilities to create a popular interactive exhibit for a museum in Syracuse, New York.